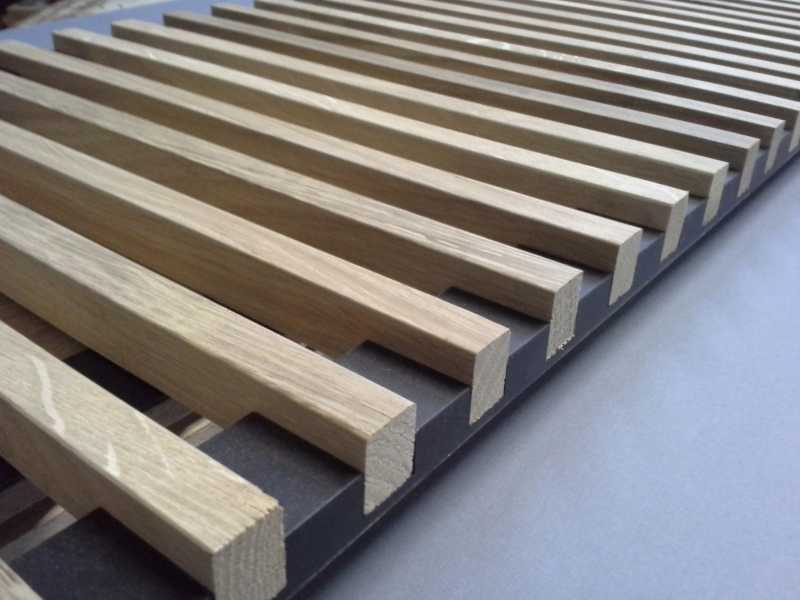 This type of grill has wood battens of 10-15 mm that are 20 mm high. 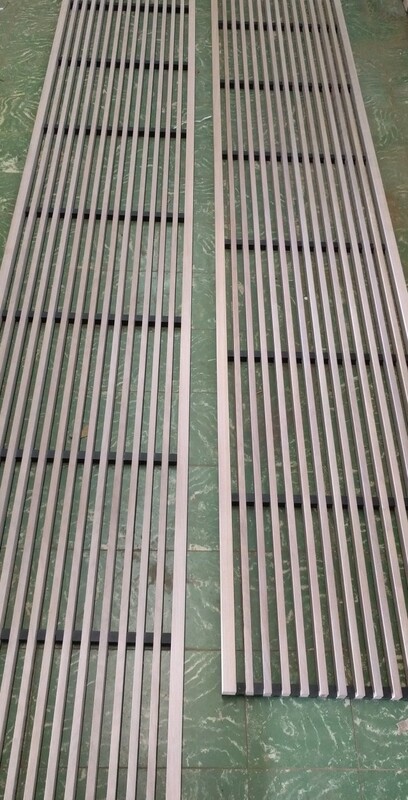 The assembly is kept rigid with a aluminium profile that rests perfectly on the frame that surrounds the convector pit. Minimal height of 25 mm.